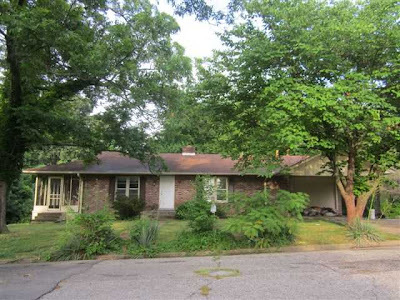 There is a new bank foreclosure in Dyersburg,Tn at 1540 Ewell Street. This brick 3 bedroom one and a half bath home is located at the end of a dead end street and has a large yard(208'x170"IRR). The home has central heat and air and also has a small basement. Mr. Lankford in Ripley has it listed but I am here in Dyersburg ready to show you and sell you this house. The list price is currently $60,000. My direct number is 731-589-7841.